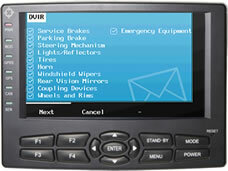 CarrierWeb Electronic Drivers Vehicle Inspection Report (EDVIR) helps your fleet increase safety and improve compliance. 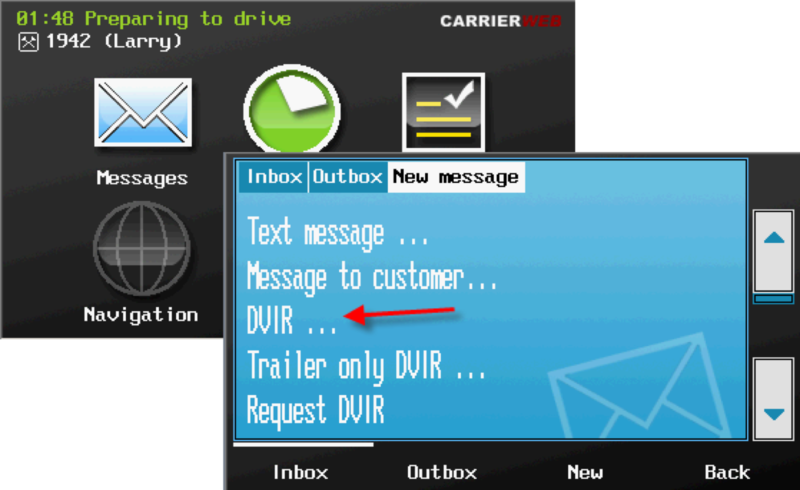 EDVIR works for both trucks and trailers. 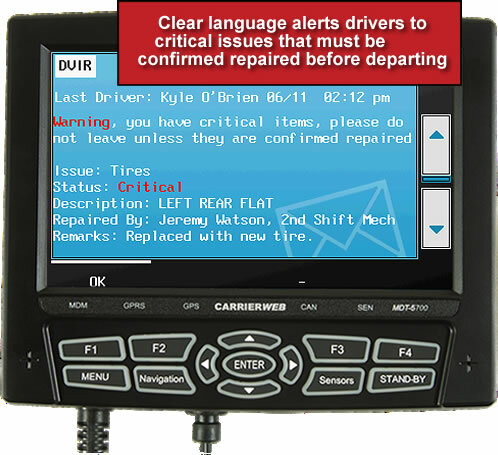 Our unique process of integrating the EDVIR into driver HOS status changes and operational workflow easily and accurately guides drivers through the process of recording and reviewing equipment inspections in accordance with the regulations. Completed inspections are available immediately on the CarrierWeb management reporting system platform giving customers instant access to critical issues that effect fleet up time, safety and CSA scores.